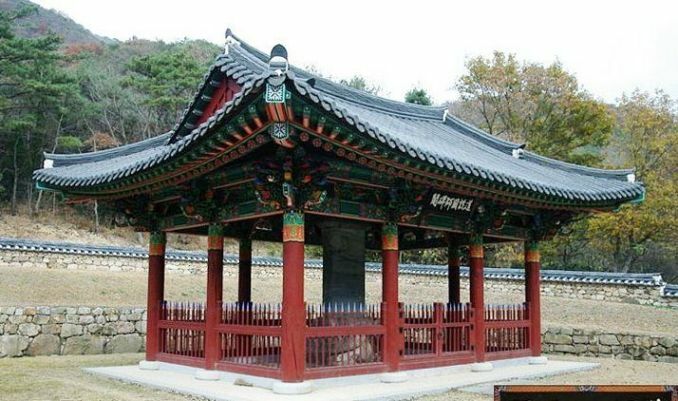 Pungsu-jiri-seol Geomancy and the concept of the Baekdu-daegan mountain-spine-of-Korea. also adapted Feng-shui ideas to their own very different geographical situations, we can be sure). and divine protection from Buddhism to achieve his great dream." were built at the places where Doseon decided would be most auspicious are called bibo-satap. description of Korea's layout and enery-balances: "The configuration of the ground of our land is like a ship. gi is improving is a major skill of the best and most important geomancers. Chi-won -- but there is no direct evidence of any encounter between them. page is largely drawn from it (as translated in Sources of Korean Tradition, see "Sources" below). Hwaeom-gyeong [or Avatamsaka, Flower-Garland] Sutra)" in only one month. 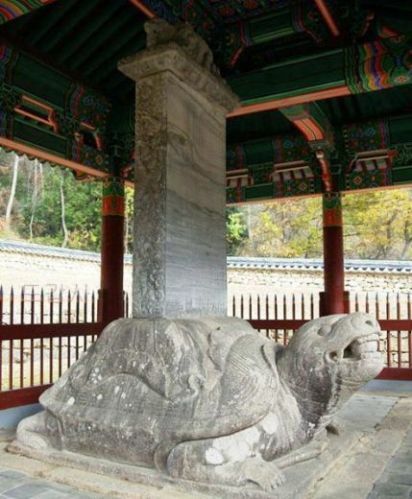 He was given the name "Yeon-gi"
Hwaeom-sa in 544; he is presently often formally called "Yeon-gi Doseon". 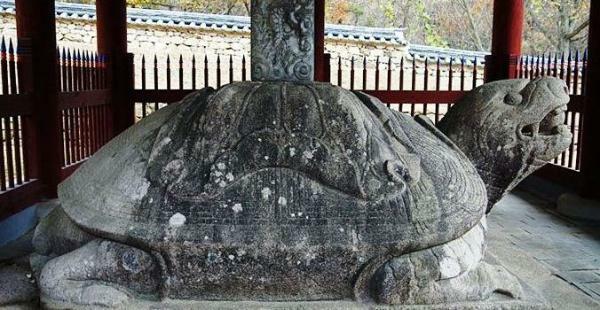 Founder Hyecheol Jeogin-seonsa (d. 861) at Dongni-san Taean-sa Monastery (one of the "Nine Mountains"
[the Dharma without dharma] transmission from Hyecheol and becoming his leading successor. (don't know where this is) and sometimes he spent summers in a grotto on Taebaek-san (don't know exactly where). ever went to China at all, however, probably for national-pride reasons}. of its unique energies, communing with the many various Sanshin without basing himself at any particular temple. drew diagrams of auspicious topographic configurations in the sand for him is still called "Sand Chart Village." indigenous-Korean source, not (entirely) from study of Chinese Feng-shui. after determining that it had an ideal geomantic location, safe from natural troubles. who invited him to the palace in Gyeongju to give lectures several times. pregnancy chanted Buddhist scriptures while abstaining from meat, onions and garlic. Her son was a Buddhist prodigy from infancy onwards, learning to chant basic Sutras soon after he could talk. 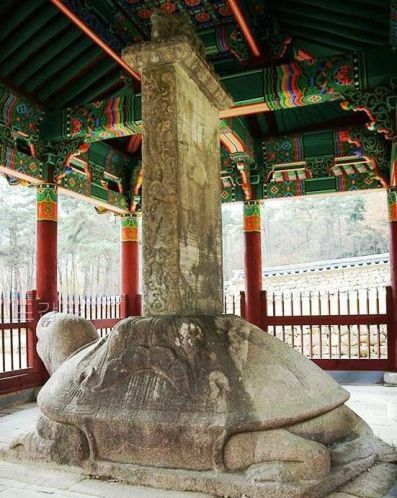 astronomer Choi Ji-mong is enshrined; this site's location is unknown, not on any map). Yeongam-gun County of South Jeolla Province. in Suncheon City of South Jeolla Province. becoming the Founding-King of the new Goryeo Dynasty. would be the host of the following dynasty 500 years yet later. [Daoist-type "Immortal"] upon achieving nirvana, and continued to advise Taejo Wang Geon in spiritual form. 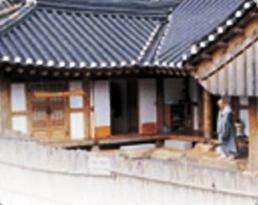 "Goryeo Guksa Doseon Jeon" (this title-suffix jeon means a transmitted record). virtue were damaged. We should carefully guard against repeating this." (adapted from "Doseon Gunksa [sic] (national monk)" at this site) and "Sources" below). 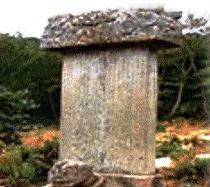 and base for his biseok stele, now behind Jiri-san Yeongok-sa -- see this page for details. seongbo-bakmul-gwan museum dedicated mostly to him. 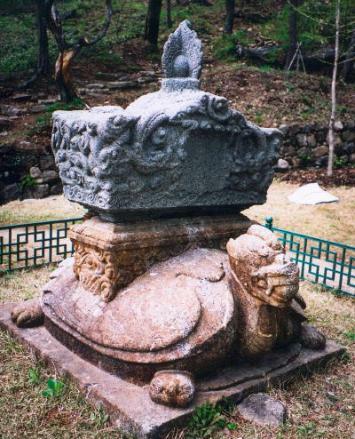 hyedeung-tap monument of Okryong-sa (see below). 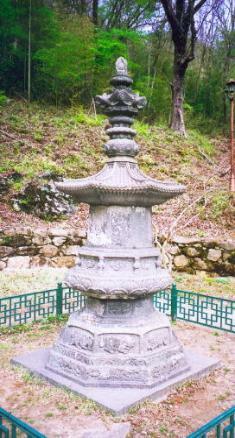 stone biseok monument named the Dogapsa-doseon-sumi-bi was erected to commemorate Doseon and Sumi. 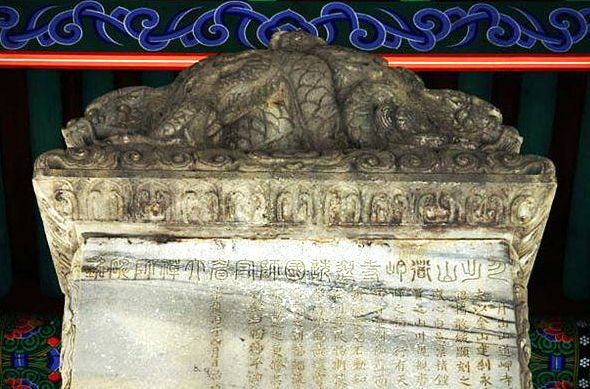 unusual feature is that on the back of the tortoise-base, lotus leaves are carved instead of the typical lotus flowers. today) and last for 500 years. Taejo Yi decided to follow that prophecy/advice and built his capital in Hanyang. Bodhisattva of Wisdom is famous for doing) to directly advise Muhak in doing so. relics, artworks, temples, doctrines and legends. are obvious attempts to develop it as a new tourist attraction. Edited by Lee and de Bary, 1997, Columbia University Press, New York. by professor Hong-Key Yoon, 2006, Lexington books, Plymouth, UK. County, Hadong-gun County and Gwangyang City, Korea. Things learned during my own 20+ years of travels around Korea. My study of maps and guidebooks of Korea. 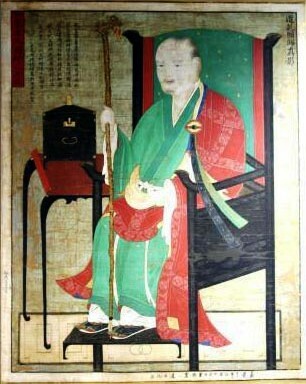 Master Doseon portrayed in the TV series "Taejo Wang Geon"